We’ve had some excursions over the past couple of weeks that have given us some different perspective and a more “elevated” view of Penang. We went out for lunch at the Top View restaurant in the Komtar Tower. This restaurant is on the 59th floor of the tallest building in Penang. In addition to wonderful food, it offers a beautiful view of Georgetown and Butterworth as well. We all enjoyed our meal there, but Morgan and Artie in particular enjoyed the experience of eating in a fine dining restaurant. They are few and far between back in Canada anymore (and the ones that do exists, are out of our price range). This week, we took a trip up to the top of Penang Hill. 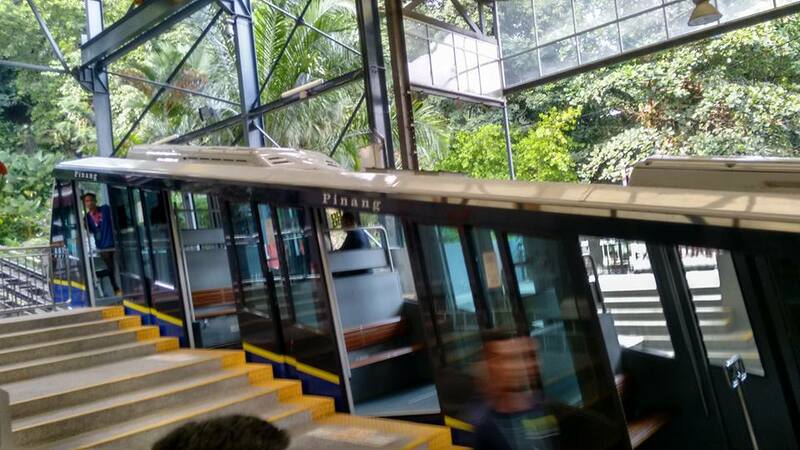 To get there, you need to take a funicular (a cable car of sorts) railway. It is a long way to the top, and some sections of the trip are quite steep. The views from the top of the hill are breathtaking, during the day. And at night as well. There are a number of terraces and trails at the top of the hill that allow you to see a great deal of the plant life that lives up here. There is some wildlife up here too. 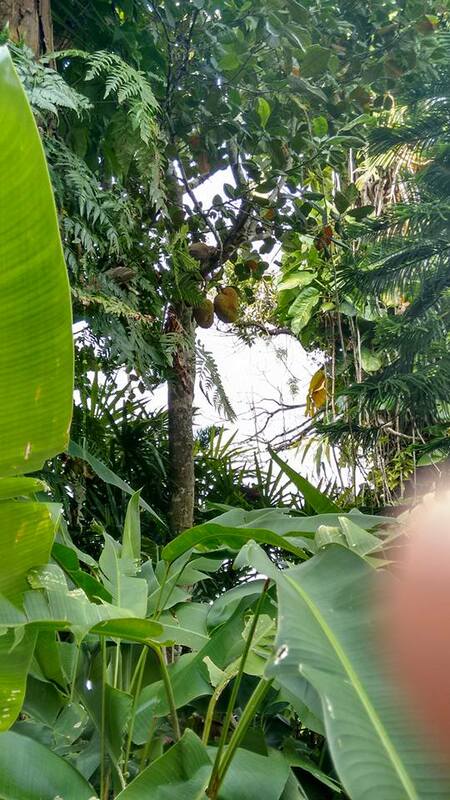 Morgan captured some a monkey in a tree eating some durian. 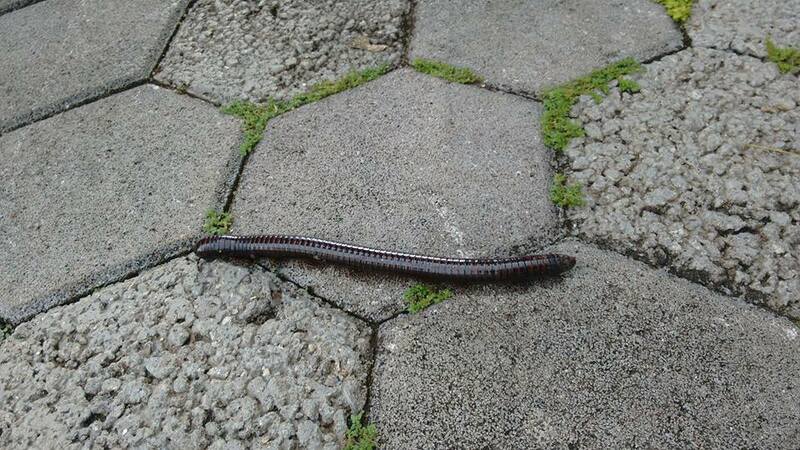 We also encountered the biggest millipede we have ever seen. It was easily a foot long… the kind of stuff that nightmares are made of. At the very top of the hill, there is an area where there is a playground with a Mosque to the left and a Hindu Temple to the right. One of the things that I really love about Penang is the multi-cultural nature of the island. And, that there is a relatively peaceful co-existence and respect between cultures, religions and heritages. It gives a person hope to experience this. Some beautiful photos. Thanks for sharing. Oh, that poor monkey! I tried durian at a party once. I threw up. Everything else looks magnificent. Ohh – you poor thing Pauline!